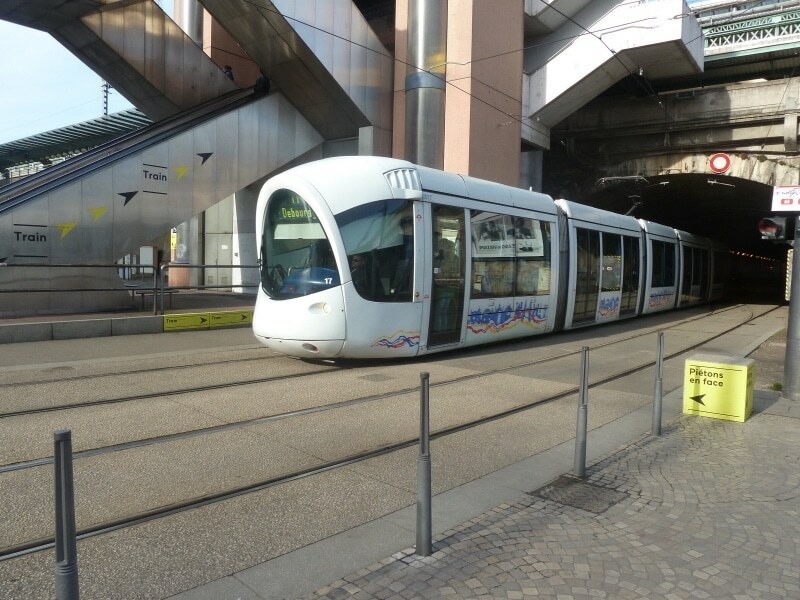 Lyon’s public transport network, ran by TCL, consists of 4 metro lines, 5 tram lines, 2 funicular railways and over a hundred bus routes. 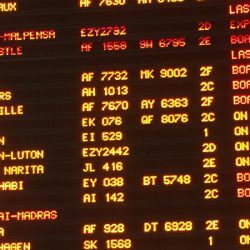 A single ticket costs €1.80 and can be used for any mode of public transport. It lasts for one hour and you can change as many times as you want within this hour. However, you must validate your ticket every time you board a new bus/tram. You can purchase tickets from the machines (pictured here) found at all metro/tram stations and major bus stops. Look out for the little flags in the bottom right-hand corner of the screen to change the language to English. Bus drivers also sell single-journey tickets, but they cost €2 and will hold up the queue, so best avoid it. 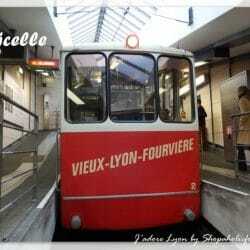 Remember also that public transport is free with the Lyon City Card. There are several other types of ticket that may help you save money. Check out the table below to find out which suits you best. The book of 10 tickets is also a good option if you are travelling in a group or as a couple. TCL has a fantastic mobile app available for iPhone and Android phones. It features an interactive map and journey planner, allowing you to easily find your way around. If you prefer a traditional paper map, they can be found at the TCL agencies at the Part-Dieu train station and Place Bellecour. 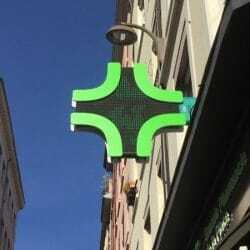 Also, feel free to ask any of the TCL representatives often posted in the main tourist areas, who will be able to point you in the right direction. 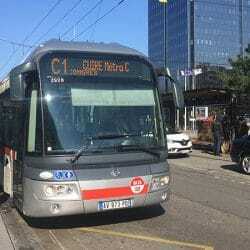 Map of Lyon Metro, Tram & Bus (TCL): stations & lines. A fun alternative to the public transport system is the Vaporetto. 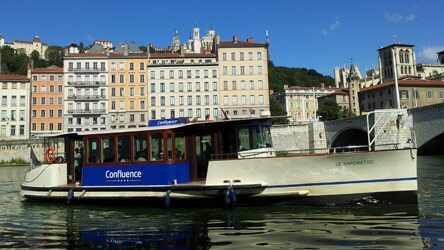 This boat shuttle service is managed by the Confluence shopping centre, and operates along the Saône river between the Vieux-Lyon (old district) and the trendy Confluence area. There is also a stop at Place Bellecour. A one-way journey costs €2 (tickets purchased on board) and takes around 30 minutes. It runs every day from 10am to 9.30pm, from 19 March to 31 December 2016. The Water Taxi Lyon, run by local entrepreneur Jeff, is another solution to visit the city center through the Rhône and Saône rivers. Navigate and discover the city’s sights alternatively, accompanied by the useful tips and the friendly atmosphere brought by Jeff. Starting from the Confluence marina, this water taxi explores the Saône and its riversides with up to 10 stops towards the Ile Barbe. A quick turnaround at the confluence and passengers can visit the Rhône river until the Cité Internationale. 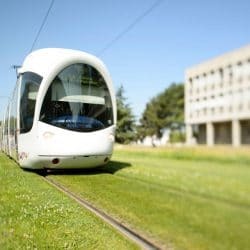 Getting around Lyon in a car can be a rather stressful experience, especially as finding parking places often proves to be difficult and costly. Renting a car is therefore generally not recommended nor needed given the extensive public transport system. However, if it cannot be avoided, then most major car hire companies operate in the city (Europcar, Avis, Sixt, etc.). There are several underground car parks, and most street parking is pay-and-display. Top tip: most short/medium-stay street parking is free on Sundays, public holidays and all of August. Bluely is a short-term rental service allowing individuals to hire electric cars in the centre of Lyon. All you need to sign up is your driving licence, passport and a bank card. The 1-week subscription is free, with rental being charged at €0.30 a minute. For more information about how it works, visit the Bluely website. 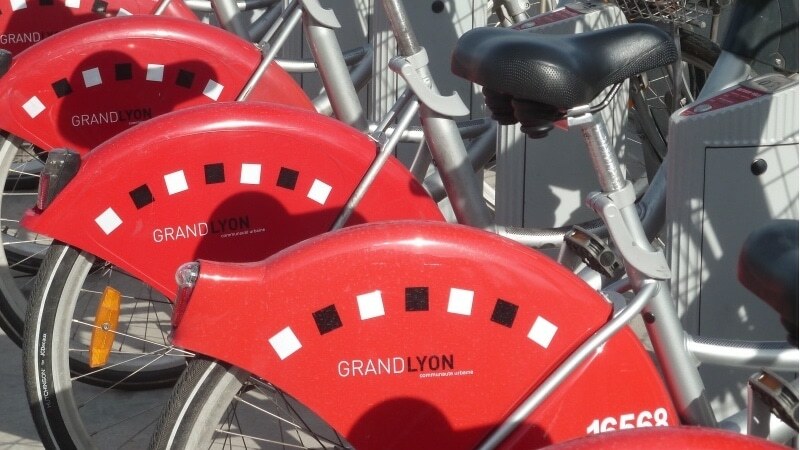 Lyon has over 180 miles of cycling paths, making biking a great way to get around the city. Velo’v is Lyon’s answer to London’s Boris bikes. Recognisable by their distinctive red mud guards, the bikes can be rented at any one of the almost 350 stations. A day ticket costs €1.50 (a €150 deposit is secured), with the first 30 minutes of each journey free. If after 30 minutes you have not returned the bike, then you will be charged for each consecutive 30 minutes. Simply return the bike and hire it again to reset the counter. If you have purchased the 3-day Lyon City Card, you can get three days’ rental for only €3. For more information, visit the Velo’v website (in English). The yearly increase in TCL prices will be between 10 and 40 cents.